West End Community Clean Up October 14th! Considering joining with the clean-up. 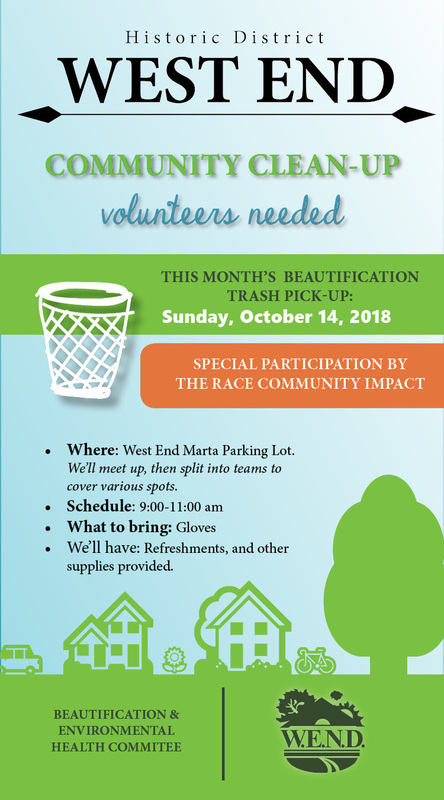 Meet at the West End MARTA Station parking lot at 9am, Sunday, October 14, 2018.